Beard and mustache are also substantial for men self-confidence and appearance However, in some cases, men cannot have beard and mustache complete and dense as they desire. According to the figures published by International Society for Hair Restoration Surgery (ISHRS) in 2008, there has been a rise at the rate of 110% in beard and mustache transplantation in Turkey and geographies close to this country in last 5 years. The distribution, quality, and density of the beard and mustache are completely under the control of genes. After puberty, beard hairs become thick in three years period and take their terminal forms. medications yet. This case is valid for beard and mustache. The solution for beard and mustache transplantation. Who is eligible for the beard and mustache hair transplantation? Beard and mustache hair transplantation can be performed after 20’s when basal hormone levels are settled. For those who would like to grow sideburn or stubble and to whom ever have irregular or less hair growth on the relevant facial parts, this method is preferred. Beard and mustache hair transplantation can be applied on all healthy men, who suffer from partially bald or completely bald patches on their faces. It is also possible to transplant beard and mustache hairs on the scarred areas on the face. How is the beard and mustache hair transplantation done? Everyone with dense donor area and with partially or completely bald patches on their faces are good candidate for beard-mustache hair transplant with FUE method. Hair grafts are extracted from the donor area between the ears and above the nape and ears, and the procedure starts. The operated area heals in small scabs on the transplantation day and get back the natural previous appearance without any scar after 10 days. No pain or ache is expected after the FUE beard or mustache operation. The results appear approximately eight or ten weeks after the Operation. 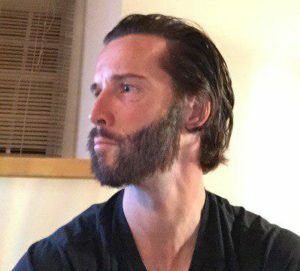 It would not be possible to tell the difference between the hair strand transplanted in the beard or mustache area from the past existing beard and mustache hair with the naked eye. Eyebrows can be missing or thin for many reasons, mostly from over pluck, alopecia, scars caused by facial injury/burning, or age. 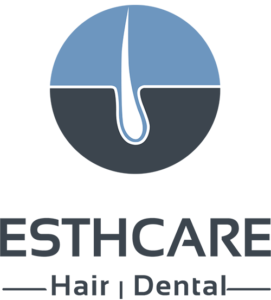 At the ESTCARE Hair Clinic, we offer the revolutionary FUE hair transplant procedure, for eyebrows. We can help build re-shape and dense on a thinning eyebrow, the results are looking natural, realistic eyebrow for those with no hair at all. With single hair grafts extracted and prepared under the microscope, eyebrows can be created and thin eyebrows can be made denser with our eyebrow transplantation procedure. Donor hair is extracted from the back of the head as normally for the head hair transplant, using the FUE technique. 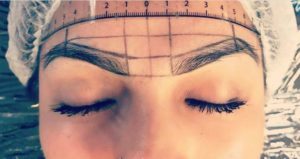 After this, the donor hair is inserted into thinning areas in the eyebrows to create natural looking eyebrows using a 23 gauge hypodermic needle under a high magnification microscope. You may see the direction of the transplanted hair grafts our doctors follow to produce a perfect natural result. The results are undetectable. However, transplanted eyebrow hair must be periodically (typically once a month) trimmed because it will grow the length of scalp hair.